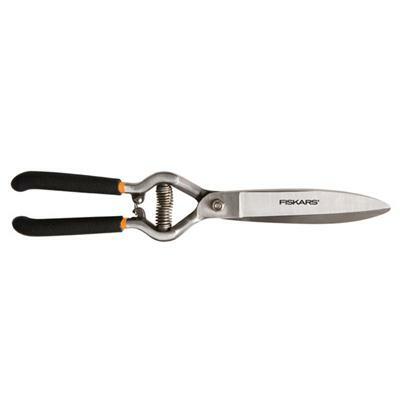 POWERGEAR ANVIL LOPPER PowerGear technology increases cutting power Lightweight, virtually unbreakable Nyglass body Hardened stainless steel blade Replaceable blade 13 oz. weight 1-1/4" cutting capacity Lifetime warranty 79726997J PWR GR ANVIL LOPPER SIZE:15"
TAPERED CORN KNIFE Corn knife has blade with tapers from 3" - to 2-1/4" at the hardwood handle Made of cutlery steel 2C-99 3 IN. X 18 IN. CORN KNIFE SIZE:3" x 18"
SOFTGRIP HERB & VEGGIE SHEARS Ideal for making healthy cuts on a variety - of herbs & cutting vegetables in the garden Stainless steel blades with serrated blade - edge grips while cutting for pruning precision Take apart blades for easier cleaner Ergonomically sculpted handle for comfort Lifetime warranty 396080-1003 SFTGRP GRDN SHEAR SIZE:8"
Make trimming along borders and around obstacles a breeze with versatile grass shears guaranteed not to jam. 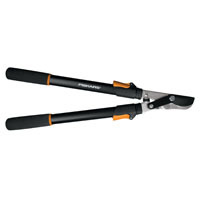 Ideal for edging and trimming decorative grasses around flower beds trees and sidewalks. 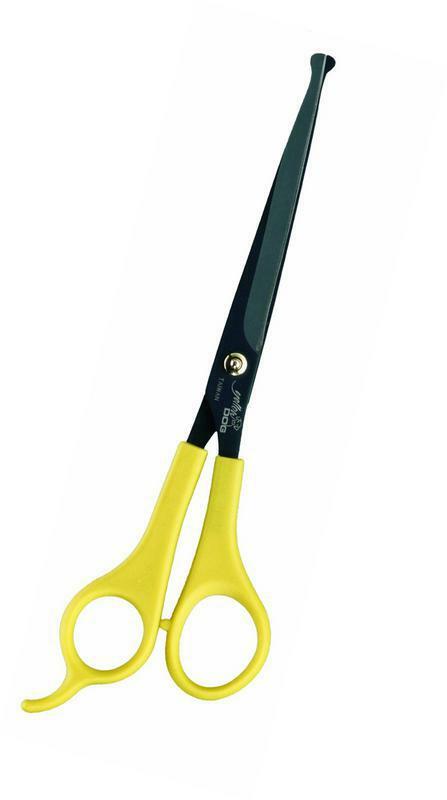 Shear Ease technology prevents the blades from jamming or sticking to give you smooth clean cuts every time. Blades rotate a full 360 degrees to make every cut comfortable and precise no matter what the angle . 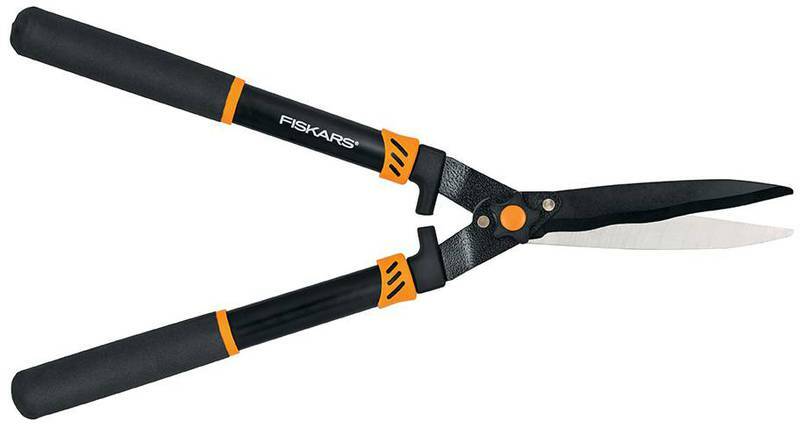 Fully hardened precision-ground steel blades stay sharp even through heavy use . 4-1/2" blades cut all the way to the tip. Lightweight loop-handle design provides precision handling . 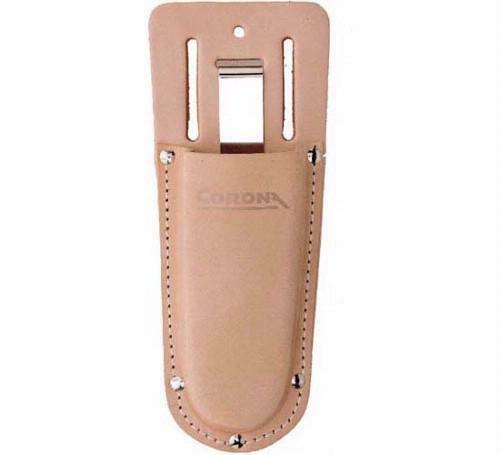 Easy-open lock protects the blade during transport and storage . Lifetime warranty This item cannot be shipped to APO/FPO addresses. Please accept our apologies. 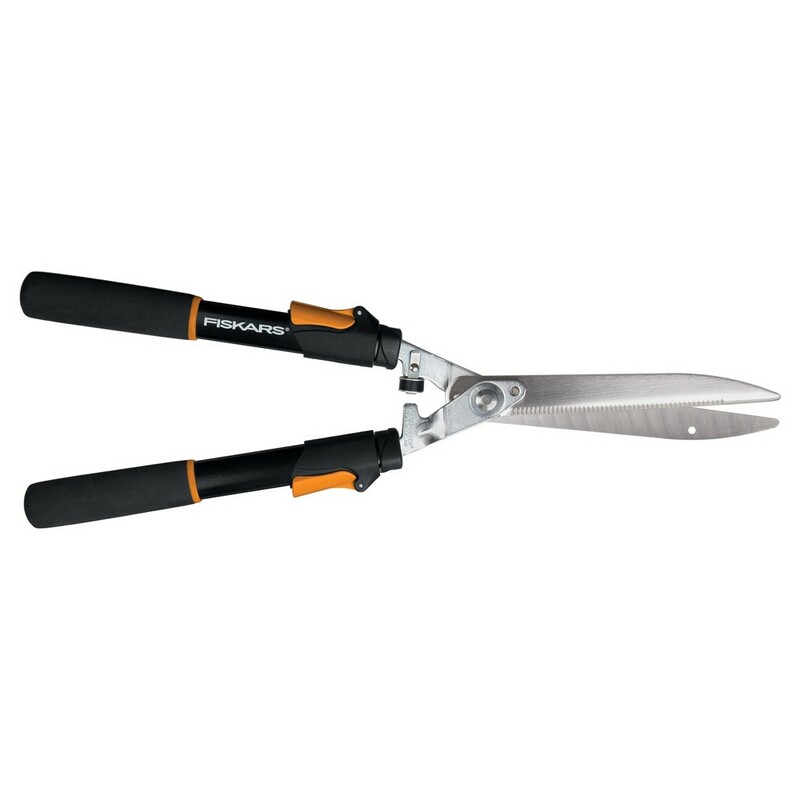 Designed for clean precise cuts when trimming around borders with a spring-action design for easy use. 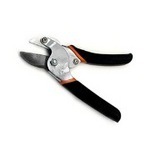 Ideal for edging and trimming decorative grasses around flower beds trees and sidewalks. 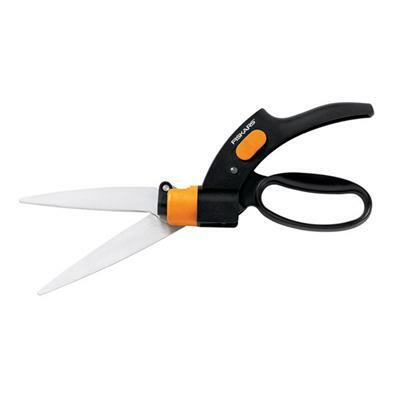 Spring-action design opens the blades after each cut to reduce hand fatigue. Blades rotate 180 degrees to make every cut comfortable and precise no matter what the angle. 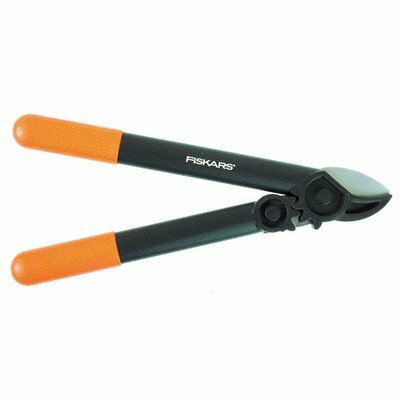 Fully hardened precision-ground steel blades stay sharp even through heavy use. 5" blades cut all the way to the tip. Lightweight loop-handle design provides precision handling. Softgrip touchpoints enhance comfort and control. Easy-open lock protects the blades during transport and storage. Lifetime warranty. This item cannot be shipped to APO/FPO addresses. Please accept our apologies. 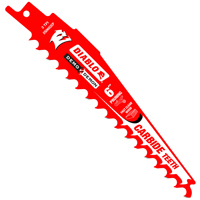 Designed for clean precise cuts when trimming around borders or cutting sod with a spring-action design for easy use. 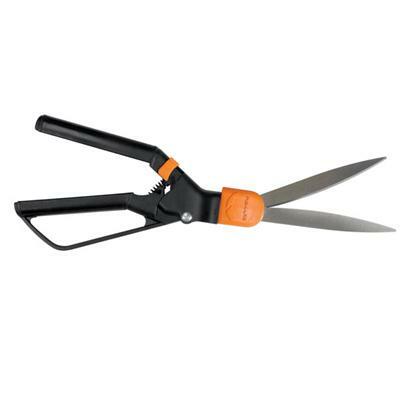 Ideal for edging and trimming decorative grasses around flower beds trees and sidewalks or for cutting thick sod. Scissors-like cutting action allows for smooth controlled cuts. 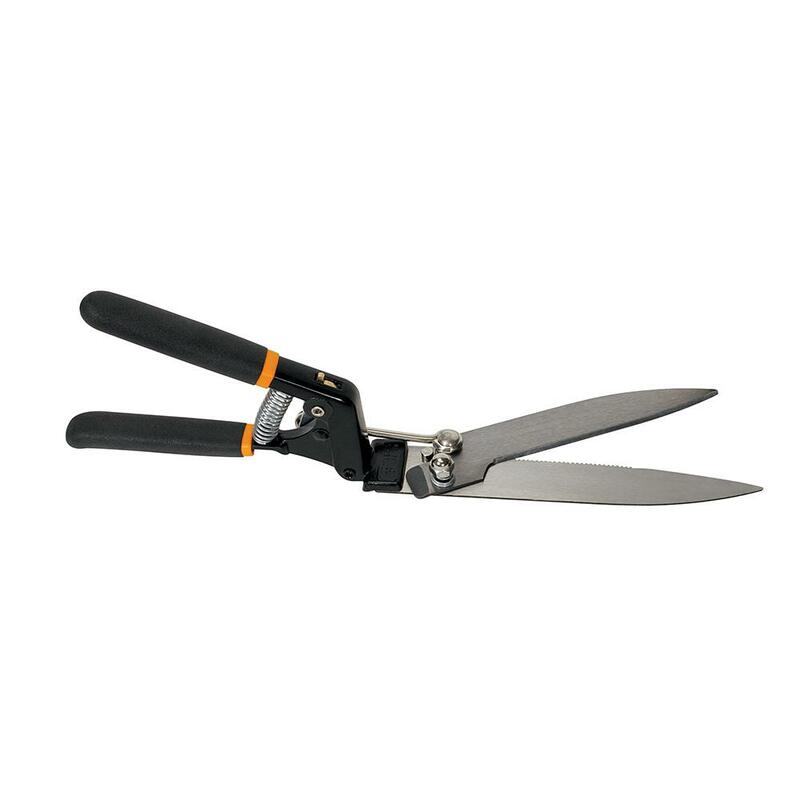 Spring-action design opens the blades after each cut to reduce hand fatigue. Fully hardened precision-ground forged steel blades stay sharp even through heavy use. 6" blades cut all the way to the tip. Forged steel construction provides lasting durability. Non-slip grips. 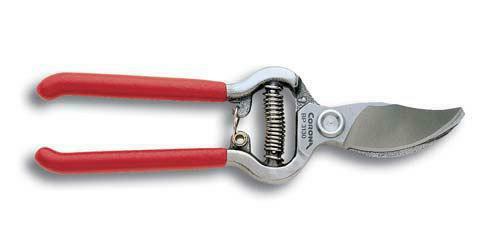 Easy-open lock protects the blades during transport and storage. Lifetime warranty This item cannot be shipped to APO/FPO addresses. Please accept our apologies. HIGH-PERFORMANCE 32" ORCHARD LOPPER Unmatched blade design dramatically reduces - force needed to cut Lightweight, high-strength elliptical handles Resharpenable, replaceable, dual-arc bypass - blade of fully heat-treated forged steel Forged, slant-ground hook with self-cleaning - deep sap groove Locking nut eliminates nut-retaining clip AL 8462 32 IN. 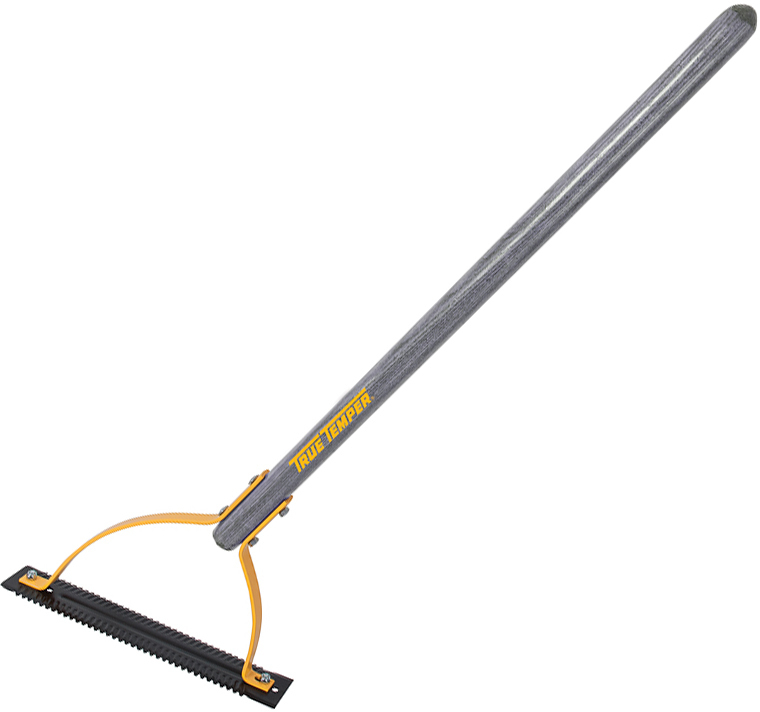 ORCHARD LOPPER SIZE:32" CAPACITY:2-1/2"
BOW SAW Chrome alloy extra hard steel Tubular steel frame Action blade tightener release BB21 21 IN. 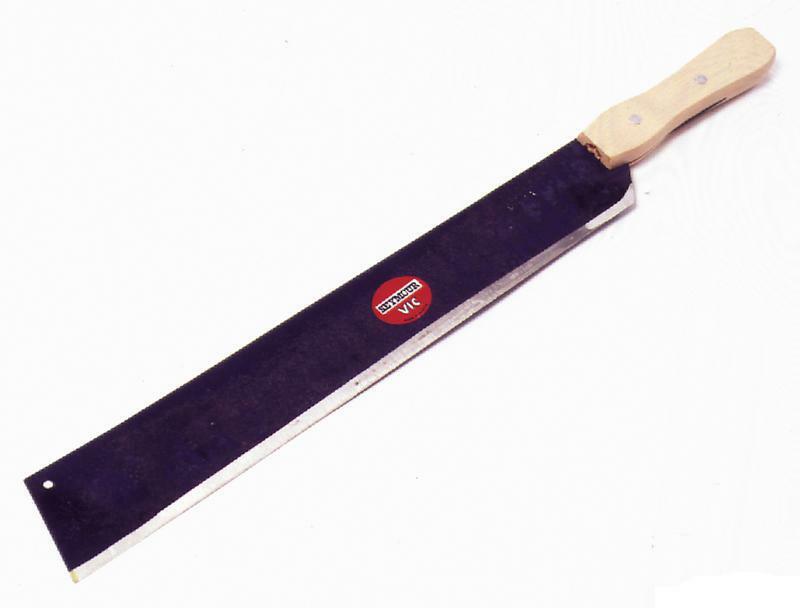 BOW SAW LENGTH:21"